Health insurer Anthem (ANTM) warned U.S. customers Friday about an email scam targeting former and current members whose personal information was suspected to have been breached in a massive cyberattack. The No. 2 U.S. health insurer said Wednesday that hackers breached its computer system containing data on up to 80 million people. 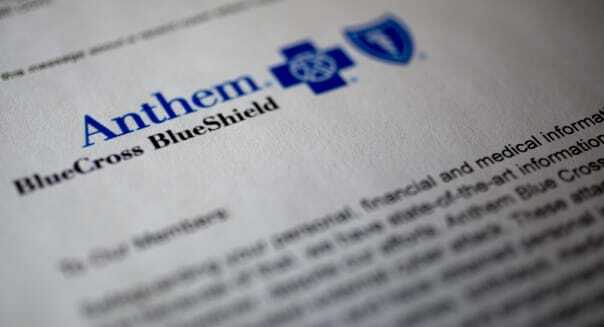 Anthem confirmed media reports that data accessed by hackers hadn't been encrypted to prevent such a security breach. %VIRTUAL-pullquote-How we managed our data in the warehouse has been appropriate. No one has pointed a finger and said you did this wrong and this is why this happened.%"When the data is moved in and out of the warehouse it is encrypted. But when it sits in the warehouse it's not encrypted," Anthem spokeswoman Cindy Wakefield said. Several U.S. states are investigating the cyberattack on Anthem that a person familiar with the matter said is being examined for possible ties to China. Cybersecurity has become a major concern for U.S. firms. Some of the biggest data breaches reported to date include those at retailers Target (TGT) and Home Depot (HD). Wakefield said Anthem wasn't worrying about lawsuits by states or customers as a result of the security breach. "Our first priority is to determine who was impacted and to notify our members," she said, adding that Anthem was working with cybersecurity experts on ways to prevent future attacks. U.S. law doesn't specifically require sensitive health data be encrypted, said Washington lawyer Deven McGraw, an expert in health care privacy. "Encryption is one physical safeguard that can be very helpful to lowering cybersecurity risk," McGraw said. Anthem's shares were down 1.1 percent at $135.69 on the New York Stock Exchange.